It's with synth breezes irradiating like objects of desire floating in suspension between two wind-powered corridors that opens “Architexture of Silence”. We hear celestial birds playing the enchanted flute and opaline voices singing over these breaths become of crystalline clouds which drift such as sighs of ether, pushed that they are by abstruse silences. Contemplative, the intro of "Movement I" builds itself up by tones of glasses which ring like fragments of incomplete harmonies fluttering into winds slowly caressed by immersive Mellotron waves. Gurglings are rising far behind these clouds of drizzle, rolling in loops over celestial dusts. We arrive around the 6 minutes and the gurgles become riffs and the riffs switch into imaginary percussions where the frenzied hits are rising and falling within the complex architectures of silence. These sonic elements forge a passive rhythm which couples to soft sequences of which the hatched knocks are crumbling a sceptical rhythm which is slowly swallowed by an armada of mists, waves and floating layers of a synth and its slow forsaken tears. 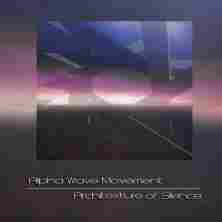 I like the music of Alpha Wave Movement. With its delicate floating structures, where synth lines to colors more panoramic than psychedelic are intertwining in a strange euphony, and its soft movements of harmonious rhythms which parade in Indian way beneath breezes perfumed by a bucolic melancholy, the music of Alpha Wave Movement reminds me vaguely that of Steve Roach. “Architexture of Silence”, a strange wink of eye by the way to Steve Roach's Structure from Silence, is the 18th album from the American synthesist. Gregory T. Kyryluk details in 5 long movements there, where we can also make a link with Vangelis' Soil Festivities, which evolve quite slowly, according to the same precept "Movement I", from emptiness up to the soft kicks of the fine sequences which flow in cascades. An album which not only is inspired by the silent works of Roach but which also pushes the reflection on the silence and its torments. Oh that I am pampered. And you can be it just as much as I. After the art of seduction from the minimalist structures of the New Berlin School, signed by E-Tiefengrund, now here is Brendan Pollard and accomplices who come to perfume our ears with the quintessence of the vintages years' cosmic rock. But there is more. It has been more than 6 years since that our friend Brendan had worked on new, original material. And it will have needed a promise made to Javi Canovas back in 2006 so that the man behind Rogue Element, by the means of his friends, gets back his old equipments and begins composing and recording a wonderful album. Without reinventing the genre, but by deepened it of his profound melancholy and of his dreamy poetics touches, Brendan Pollard orchestrates an electronic work which has its place among the biggest albums of an era that musicians from all the world haven't stop investigating in order to grab the most beautiful of jewels. “Two Roads” lifts the smoke aromas of the oranged interior fires, moved around here and there by groups such as Arc, ['ramp], Free System Projekt and Redshift, that Tangerine Dream had extirpated of its analog equipments in the Ricochet years. Prepare your ears; you shall have not enough of both! "Compendium" takes shape in a disturbing blackness where roar apocalyptic sirens. Synth pads are stretching some edging of mist that the oracles pierce of their absent voices. Extricating itself lazily from the brightness from those anfractuous pads with sibylline breaths, a synth has difficulty in freeing thin lines of solos howlers which float such as deformed shadows up to the roots of the first stammering of the sequences of which the alternating keys intertwine over the sighs of cymbals, shaping the abstract rhythm of the electronic odes. A rhythm which hops on the spot with its hyperactive sequences and from which the bewitched keys agglutinate under the bites of a guitar before jumping into their shadows to mold these static rhythms which are of use as rampart to psychotronic atmospheres of progressive EM. A line of bass comes to give more vigour to this rhythm which tumbles down the hills of imagination without skidding out of its abstract path. Playing on nuances, this rhythm oscillates with discretion to give more polish to some luxurious solos which spin around over noisy cymbals and cut out the shadows of the sequences which subdivide their transparencies. The rhythm is sustained and runs to lose its breath while the solos shout with their twisted furies in mists of ether which soften a little the run of a breathless dreamer. It's the war between these synth solos and those from the corrosive guitars of Javi Canovas and Michael Daniel. They cast shafts of light over a rhythm chopped by the incisive strikings of the sequences which lose the sense of a rhythm always static and which flutter towards a more ethereal finale where the wrapping mists are rolling such as cosmic waves over "Compendium" which is sucked up in a black hole. The stigmas of the electronic music art demonstrate that the good works begin in mists and hallucinogenic smokes to take quietly a rhythmic shape, which can varied, before looping the loop and to vanish into the morphic imprints from their intros. The key is in the art of sequencing. How to use them and to link them to form rhythms where their subtle evolutions confuse our neurons which dance to satisfaction. And it's the way that goes “Two Roads”. The hollow winds of "Route of Industrial Signatures" raise the dusts of sequences which flutter of their imperfect circles and sizzled into rotations of figures of eight. Lugubrious of its resonant breaths, the intro swallows these sequences and spits out a slender stroboscopic filet of which the spasmodic jerks resound into an echo smothered by atmospheres of Schulze in Picture Music, Gothic mist and abstruse choruses. Everything is of mystery and dark ambiences when the first kicks of sequences emerge a little after the 5th minute. Sequences which swirl restlessly, drawing circles which shorter cunningly to draw a superb and heavy linear movement of which only the reverberations fold the line of rhythm. Synths and guitars are drawing suave solos and meditative shadows which decorate the curves of a rhythm that some flying percussions and a line of obedient bass amplify of an upward rhythmic pattern, describing the musical arcs which remind the 77 years and the majestic Encore from the Dream. "Vista" and "Conjunction" offer the same configurations without meditating on the same tunes. Everything is in the nuances, both in the ambiences and in the rhythms. If the ambiences differ in their envelopes of mystery, the rhythms follow the same linear tangents but with a much more vigour and ferocity. In fact, the more we move forward in “Two Roads” and the more the rhythms force themselves. "Vista" is doubtless the most ethereal track before rebelling furiously of its obedience. The recollections with the art of the electronic rhythms so skilfully made by Chris Franke abound, you have to hear "Conjunction", with a very good contemporary touch. And it's the strength of “Two Roads”. In spite of the contemplative Mellotron lines, the fluty mists and the atmospheres of black mysteries à la Phaedra, this album stemming from a high-level electronic community breathes of a personal touch which binds two eras. Sequence keys are spinning in hypnotic loops, spitting a funky beat which binds itself into some glaucous pulsations of which the resonances couple to the symmetric strikings of electronic percussions. Another line of sequences, more of a dancing music style, spreads over this structure of rhythm which coos such as a zombie on acid, before switching shape for a melodious approach which will eat away our ears during the 55 minutes that beats "Time is a Dimension we can Bend". It's been a while that we have heard about E=Motion. Since Drifting Loops in 2008, Jacek Spruch made himself silent. And recently he re-appears on social networks, announcing a new mastering and re-release of his works on the SynGate label as well as a new album; “Time is a Dimension we can Bend”. So far as I can remember I always liked the music of Jacek Spruch. He was one of the first artists to want to collaborate with my reviewing project and I had discovered it a very nice man who evolved in an electronic world where the rhythms prevailed on ambiences. And at this level “Time is a Dimension we can Bend” reflects well enough the musical spirit of the Polish synthman. In a musical pattern inspired by Manuel Gottsching's album E2E4, Jacek Spruch spreads a structure of minimalist rhythm where the first chords, the first pulsations and the first knocks of drum sticks stretch until the last second in a rhythmic cocoon of semi trance which frees fine melodies of which the airs go and come like earworms working constantly to develop the nuances which will enrich the community of the rhythmic loops of “Time is a Dimension we can Bend”. The sequenced approach is split into two parts; one rhythmic, which rolls constantly in loops into the strikings of percussions and the beatings of organic pulsations, and another one more harmonious which varies its keys in order to weave some cosmic hoops which encircle a soft structure of hypnotic trance and some fine stroboscopic filets. Synths are like winds which feed the flapping of the rhythmic cocoon by injecting melodious traps which coo of tones as crystal clear than sizzling and sibylline. Boring!? It depends on the expectations. Fifty five minutes to wriggle in his lounge or on a floor of dance... Well, that can seem long. But every time we seem to have reached the limits of tolerance, there is this synth which comes back to sing its harmonies which melt themselves so well in the rhythmic eddies that we don’t know any more where is situated neither the time, nor the time of “Time is a Dimension we can Bend”. And when that its point of comparison is Manuel Gottsching's strong E2E4, we know that we are in good company with this new album of E=Motion. Welcome back Jacek! Some fine bright arpeggios fall harmoniously in an inverted carousel on the opening of "Recurring Waves". A soft line of bass sequences, with slightly throbbing keys, hiccups a tempo broken by jerked jolts which stirs nervously in a musical prism where nest a melody with its haunted airs. Soft but hooked on a feverish structure with broken jumps "Recurring Waves" opens this 7th opus of E=Motion with the same musical passion which characterizes the Polish musician since I discovered Re-Trance-Mission in 2004. Exploiting in depth the charms and meanders of loops which dance around and drift on bouncy and hypnotic rhythms, Jacek Spruch delivers a harmonious album which listens to easily, courtesy of the delicious sound loops which float over 10 tracks forged in structures of chill-out, down-tempos and soft techno caressed by synth pads as much foggy than cosmic. The universe of “Drifting Loops” is focused on a multitude of loops which outline some harmonious rhythms where the melodies are melting into some sinuous hypnotic braids. A lugubrious intro extends like a slow running in a musical labyrinth to open "Old Schooner". At both soft and heavy, the oscillating pulsations which wave are adding a dark approach to a harmony which coos in the spectral breaths of a synth stuffed with twist which coil up in zigzag, such as curly solos singing of a vampiric way, on the jingles of blurred percussions. It's a nice track which catches the hearing, quite as "Phantom" and "Déjà Vu" which are slower, more hypnotic with a ghostly mood which smothered our ears with a synth to the heavy and strident lamentations. "Riddle" is more direct with its line of oscillating sequences which fit closely the intriguing reverberations and a methodical, hypnotic pulsation. Long sinuous solos, sounding like sonic lighthouses, are wrapping the beat which waltzes with dizziness and get lost in percussions resounding like clogs and which divert the hypnotic fragility of "Riddle" towards a slowly stormy rhythm where Jean Michel Jarre's aromas are in hiding in a techno approach. This is a track which reveals a surprising heaviness with chiseled solos, like in "Comet". "Hrabor" is a beautiful track. A kind of chill out with good percussions of which the felted echoes kiss a bass line and its momentums of sensuality that a synth covers of floating mist and solos. Solos which speak, when they don't sing. "Chilling Out" bears well its name with a soft rhythm which spreads a romantic sweetness with its lounge style mood and its undulating bass, while "Waves'n'Base" does more into techno with a line of bass which spits its humming chords in foggy wrapping synth pads. It's heavy and static. That remains linear, even if the track grows of a resounding heaviness, preserving thus this cachet of night club with tendencies of harmonious chill-out. "Live?" takes back the delicate sound prisms which opened "Recurring Waves", but with a more mordant and heavier structure of loops. 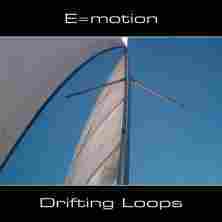 With “Drifting Loops”, E=Motion continues to exploit quite well its variables structures in moods livened up by good sequencing patterns, both rhythmic and harmonic, and cosmic envelopes which lead the listener in a world of chill-out and soft techno. Moreover, we clearly feel the influence of Robert Schroeder on these rhythmic patterns which kiss the soft structures of New Berlin School. 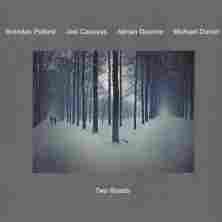 Soft rhythms well measured which move between slower structures, sometimes morphic, and heavier ones but always with a view to build melodious airs. It's a nice album which exploits what we expect; beautiful spiraled and wavy loops on a music situated between soft techno, chill-out and electro pop music. The way of doing things is in the social networks. Facebook and Twitter! Two medias where the emergent artists tempt by all the means to make their music known. The name of Kuutana Serenity, an anagram of moon in Finland (Kuu) and traditional Asian weapons (Katana) is very active on the social networks of which the acquaintances are associated with EM. 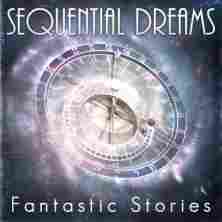 Last July, the artist from Montreal (Canada) invited his followers to the multimedia launch of his 2nd album “Fantastic Stories”; an album including 14 tracks inspired by novels, TV series and movies which had an impact in the life of Sequential Dreams, the nom de plume of Kuutana Serenity. From the first chords of "Orbital Burn", we feel this very filmic influence which stimulates the ideals of Sequential Dreams. The chords which open the intro sound as an acoustic guitar which champs at the bit in a galactic desert. The percussions fall and hammer a slow rhythm while quietly rhythm and harmony go astray in the spheres of Tangerine Dream warmed to white by Jerome Froese's insolence. Heavy chords make tremble a structure altogether very harmonious which takes an unbridled tangent at the end of route, blowing into 220 volts, saxophone in more. The slow and heavy rhythms, encircled by twinkling string of sequences, are the privilege of this album which is strongly inspired by Tangerine Dream, post- Franke era, and Jean Michel Jarre in his Chronology mood. And it's in this optics that "Solstice on Terra Prime" tries its onset with slow chords, gurgling of heaviness, which is fast harpooned by a line sequences with keys sparkling in the shadow of some heavy riffs of a slouching guitar. One would say The Cure lost in the electronic phases of TD. The rhythm is split by approaches of refrains style where it lets itself tame by spherical movements of sequences. It's heavy, powerful but especially very musical. The touches of saxophone add a more New Age dimension to a structure which is as well heavy as dark. Kuutana Serenity polishes up admirably its titles by dosing his rhythms of soft nuances and by decorating his ambiences of beautiful melodious fragments, giving thus rich structures which attract irreparably the hearing. 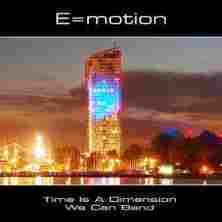 This is good electronic rock, by moment intelligent synth-pop, where no second is lost, wasted in a lack of imagination. With 14 tracks there are some of them which turn around the same themes. If titles like "Approaching Galactic Core", "The Transwarp Incident", "The Tannhauser Gate", the blazing "The Hex Eye of Saturn" and "The Cloud Minders" are drinking in the same trough as the first two tracks "The Caves of Steel" seduced with its heavy circular rhythm fed by furious keys which intertwine in a bilateral sonic ballet, twirling in a black ambience packed by an avalanche of sequences with random rhythmic patterns. Heavy, furious and very good. "I Can Remember the Rain" is a wonderful electronic ballad with a slow rhythm where the harmonies sparkle in the trails of apocalyptic synth waves à la Vangelis (Blade Runner). A track which is going to haunt your ears very well much farther after hearing it, quite as the voices of cosmic mermaids which radiate in the very beautiful and morphic "Shore Leave on Risa". "Temporal Shift" waltzes out of time on its slow rhythm shaken by sequences of which the jerky debit contradicts the weight of the bass pulsations and heavy percussions. The synths are very TD and entail us in a Mars Polaris approach, quite as the very good "The Singing Bells of Mars" (a coincidence?) and "To Seek out New Life". And the more I move forward in “Fantastic Stories” and the more I like what I hear. The album is rich in rhythms of which the perpetual rhythmic variations enchant as much than the lunar melodies which sparkle like stars in a black cosmos. It's surprising route electronic of rhythms and melodies which soaks into some intense film aromas with rhythms finely jerked and stroboscopic where the percussions and guitars add a touch of strange futuristic rock as in the boiling title-track. Done well and well mixed for a homemade album, “Fantastic Stories” is a delicious find which deviates from the usual of EM by eyeing more towards good electronic rock, tinted by a light accent of synth-pop, without denying at all the roots of the cosmic and futuristic New Berlin School. Creative and very musical, Kuutana Serenity, or Sequential Dreams, does not hesitate to unfold the path of his influences which complement each others marvellously in a sound pattern which sometimes bites into the dusts of Blade Runner. It's like a blend of Robert Schroeder, Tangerine Dream and Jean Michel Jarre beating hell over very Vangelis synth pads. I quite enjoyed it. It's very good and of a surprising musical freshness. Available on the Sequential Dreams Bandcamp site as well as on CD Baby, iTunes and Amazon. 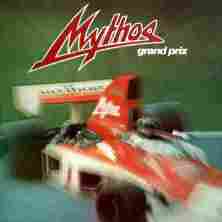 If Quasar was the album of transition between Krautrock and synth-pop for Mythos, “Grand Prix” is the album which completes its metamorphosis. Except for lines of flute which sing here and there, this 2nd solo album from Stephan Kaske sits down on structures and equipments strictly electronic. For the fans of Krautrock, it was of the high treason, from where the very acerbic critics, but for EM fans, in particular the Düsseldorf, “Grand Prix” added a very progressive touch, even if it presents 8 short tracks, to a synth-pop with fragrances strongly filled of the robotics approaches of the cyborgs from Düsseldorf. After the noises of use which surround the F1 circus, the title-track spits its jumping keys which skip feverishly on the spot to forge a hyperactive rhythm that some fragments of crystalline harmonies separate from being a wild stubbornness rhythmic. The voices, as well as the melodious approach, which surround "Grand Prix" plunges us into the influences that Kraftwerk had on the first techno generation with Trans Europe Express. It's catchy and melodious while having a very robot-style cachet, as in "Video", and its rhythm disrupted by furtive keys which carry at the tip of their rhythmic pattern a melody weaved in prisms of ice, as well as the very laconic and cybernetic "Bermuda Dreieck". The rhythmic envelope of “Grand Prix” is mainly centred on slow tempos, to the limit ambient. We roll of the hips and we hop much more than we bang of the head with frenzy. It's some nice synth-pop with rhythmic outlines which bounce in the sweet anarchy of neighboring sequences. The percussions are sober with very mathematical strikings. They complete more the rhythm than they control them while the pulsating sequences draw rhythmic patterns inside which other lines of sequences depict tangents more harmonious, creating rhythms more morphic that of dances. Moreover the big strength of “Grand Prix” is its harmonious approaches which are completely inspired by these melodious sequences with tones of ice, a bit à la Kraftwerk. Ice prisms which swirl and twitter as in "Transamazonica", a track which offers a structure of austere rhythm of which the melody forged between lines of synths and flutes cavorts on a sober bed of sequences and electronic percussions. "Transatlantik Non-Stop" is a musical jewel and a wonderful adaptation of a medieval dance into an electronic mode. We hook right on the first listening. "Jet Set" offers a fuzzy rhythm. Between the sweetness and its knocks of jerked percussions, knocking with the precision of sequences, the rhythm tries a melodic approach which sings like the melody of ice of "Transamazonica". "Secret Robot Agents" is a short one which presents an ambient rhythm, quite as "Mayday" and its drum rolls which smother into these dense synth pads. This is good synth-pop, slightly a bit more creative and progressive, except for "Secret Robot Agents", where the singings of Kaske and his fluty breezes are mixed with the vocoder and synth Mellotron pads. One would believe to hear Jethro Tull on Bauhaus. This second life, very well done by the way, of “Grand Prix” presents two bonus tracks which will delight the fans of this transition period of Mythos. Lugubrious and heavy, "Rockwärts" is pounding of an organic life with its metallic elytrons which clink on a funeral approach filled with gurglings and vampiric voices which pepper an ambience full of iconoclastic tones. "Mellotron Mystique" is a fine ode to ambient Mellotron that will feed the phases of relaxation that Stephan Kaske will investigate some 15 years farther. In this era where the icons of music do up their ancestral works to give them a second life and, especially, to fulfill the new followers who were not able to get themselves these works vanished in the labyrinths of time, there is no evil in the fact that Mythos resuscitates the album of its controversy. Especially that it's a nice album, well made, which depicts the incredible progression of Stephan Kaske of which the career breathes of a second breath since the very good Surround Sound Offensive. In fact I have never understood why “Grand Prix” received such a volley of blows at its while it completes marvellously the continuity of Quasar. For me, both albums are inescapable in the career of Mythos which is an artist of the most underestimated of the Krautrock electronic scene. For the year (1981), “Grand Prix” hides some jewels which join the futuristic phases of Blade Runner (think of the small cybernetic foot soldier in the apartment of J.F. Sebastian) where the asepticized rhythms don't have to redden of the harmonic envelopes that they bear with the robotics candour of the first techno phases from the years of an evolutionary synth-pop. 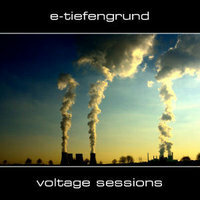 Minimalist rhythms with morphic stroboscopic structures, simplistic and attractive percussions and electronic melodies like the first works of Kraftwerk and some cosmic storms à la Software, “Voltage Sessions” from E-Tiefengrund is simply charming! It's a pure breath of freshness which reminds us the beautiful years of the analog movements where the simplicity had as much charm as the works forged in the labyrinths of the dishevelled structures where very often melodies got lost in the quest of an absolute creativity. It's a superb album that I devoured from start to end, saying that the simple things are often part of the most beautiful ones. If you are looking for these hypnotic corridors forgotten in L'Éthique and Electronic-Universe, I strongly recommend you this “Voltage Sessions”. The rhythm is soft. Decorated with a synth to tones of a cosmic and dreamy guitar which scatters its floating solos on the frictions and the light drum rolls of percussions, “Cool Vibes” infiltrates our ears with a wind of freshness. A Californian wind so dear to the wandering structures of its ancestor, Double Fantasy, where the funky/groove metamorphoses subtly for a more drum'n'bass rhythm, kissing at the passage the pads of sunny trumpets. The sequences invite themselves into this oniric dance which floats like a dream while quietly "Cool Vibes" is bitten by more incisive riffs and is tortured by shriller synth solos, depicting marvellously the duality which tears constantly in two the synthesist of Aachen in his project in parallel to his solo career. Eclectic, Robert Schroeder's musical world revolves around his fantasies which also take shapes around his instruments designs. Destabilizing constantly his fans with approaches which oscillate between pure Berlin School, funky/groove or some lascivious down-tempos, Schroeder aims straight to the point with his Food For Fantasy project consisted of 9 tracks which shine with these Californian freshnesses where the guitar is the master of its cosmic inspirations when it's not downright some kind of rock'n'groove. Except that Schroeder has decided to draw the line and end Food For Fantasy which after 5 albums, among which two under the name of Double Fantasy, leave a musical will more interesting than we think. The delicate structures which dream about the sun furnish the repertoire of Food For Fantasy. After a first track with a rhythm in constant motion, "Sundawn" melts in the ear of its soft rhythm with a guitar which sings under a sunset by trying to join stars. Riffs of electronic guitar scratch a melody which vanishes into silky pads of mist while the tempo buzzes of its laconic pulsations. Those who know Robert Schroeder know at which point he is so meticulous. To which point he likes to adorn his structures of parallel melodies, of which the harmonies revolve on cosmic dusts, and of lost riffs which have nothing to do with those melodies as well as to strengthen his increasing rhythms by hijacking them, the time to say phew, from their original axes to get rid of the slowness and switch to more invigorated structures. Hammered percussions, sequences which make of leapfrog and riffs which clean up the ears, "Dream Exhauster" spits in our loudspeakers a structure of rock which hangs onto the drum and its technoïd drives. The rhythm is very Teutonic, a little like Bowie in Berlin dance period, with howling riffs of electronic guitar which manages all the same to scatter some beautiful floating solos. The guitar, played by Robert Schroeder himself, is omnipresent on “Cool Vibes”. If it floats of its soloïc chords on the very ambient and Berlin School style "Timeshifting Area", doubtless the most beautiful track of “Cool Vibes” with these sequences which hiccup in fine spirals, it cuts out the ambiences on "Present Views" whose transforming structure is similar to "Sundawn". "Eschnapur" is a good synth-pop which tries to get rid of a technoïd control and its banging of hands which resound through sequences swirling into fine syncopated spirals. Between the rhythm, sometimes tribal, and the morphic ambiences, "Eschnapur" explains itself the continual enrichments that Robert Schroeder breathes life into each of his tracks. There is nothing routine on “Cool Vibes” and everything is in perpetual movement. Even the slow rhythm of "GuitarMotion", a cosmic melody which is inspired by Manuel Gottsching's play, and the very cosmic "Electron Dust" of which the slow introduction eventually ends to be harpooned by a timid techno wrapped by floating pads and solos. "Magic Keys" ends the adventure of cosmic rhythms with this guitar which has an ascendency on all this whole testamentary work from Food For Fantasy. The rhythm is soft and caresses our ears as "Cool Vibes" had did in the opening. 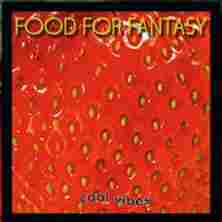 For several fans of EM of progressive style or Berlin School, Food For Fantasy is the antithesis of this movement which feeds on more experimental structures and improvisations centered on mathematical approaches. It's synth-pop which makes the most of what comes along all styles that Kraftwerk splendidly concocted with its Man Machine. We regret the evasive approaches of the duet of origin, Double Fantasy, on the very brilliant Universal Ave. On the other hand, give to Robert Schroeder what is Robert Schroeder's; the man is an ingenious composer and an excellent designer of sounds, equipments who makes more than gild a style became anemic over the years. He injects within his structures, in solo and as well with Food for Fantasy, a personal touch that we will recognize between one thousand and sonic elements which attract the hearing. And it's the strength of “Cool Vibes” which offers 9 structures splendidly decorated by a musical fauna as unique as invigorating where every composition stretches into rhythmic spasms and morphic phases as much unexpected as wished. Noises. Sounds. Lot of noises and lot of sounds. Electronic chirpings, roaring twists and wheezes, iridescent curves and pallet of tones as eclectic as allegorical. Behind the noise and the cacophony of machines, there is music. The boldness of listening a little farther than what other artists have to offer is just enough let grow to discover Olivier Briand's jewels which are in hiding as pearls in the wildest of oysters. Let's take example on "Andernos Dreams". After an intro where synths regurgitate an excess full of convoluted tones, a beautiful line of sequences emerges to make oscillate its jumping keys in an wavering rhythm. A zigzagging rhythm with two crisscrossed lines which rub and surpass themselves under the aegis of a synth with solos as much harmonious as a certain Tangerine Dream, The Keep era. Moreover the analogy with the Dream tickles our ears behind this panoply of experimental approaches. The ambience is suffocating with these synths which sometimes sing, sometimes grumble under a rhythmic approach flooded by a torrent of synth sheaves. Except that the example of the musicality versus the cacophony seems very pale when we cross the Modular Xpérience saga. The groans of a vocoder pierce a dense and thick cloud of colorful tones which smothers the intro of "Random Control Part I". Synths spit some threatening waves at an informatics language with heavy resonant pads of which the sound shine irradiates the cosmic approaches of Jean Michel Jarre. A line of sequence harpoons the cosmic frenzy of Olivier Briand, weaving the embryo of a used rhythm which pounds into an electronic fair where the noise indisposes the roundabouts. And so is transposed the soft cacophony of "Random Control Part I" which pours its static hyperactivity up until the first minutes of "Random Control Part II" which offers a very beautiful, and surprising, movement of criss-crossed sequences which zigzag in a soft hypnotic rhythm. The rhythm is silky, at the limit poetic. Like some small pebbles falling with a surprising precision, the rhythm of "Random Control Part II" stamps the ambience of its delicate keys. Keys which dance and dance in foggy synth pads, reminding the lyrical works of the orgasmicosmic universe from Jarre. It's very good. And while we settle comfortably in the armchair to kiss these pads, the lines of sequences forge a harmonious rhythm that we had forgotten on ice floes of the cosmic mists. 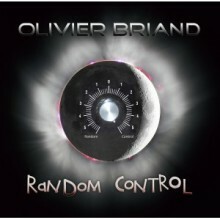 These are superb minutes of an electronic ballet that Olivier Briand draws for our ears while that quietly "Random Control Part II" is melting into the splendid "Random Control Part III" and its beautiful small sibylline melody which is whistled by a synth, giving so a pleasant earworm. It has a very French flavor, I’m thinking of Thierry Fervant, while having a small devilish touch which would suit very well to a Halloween kind of movie. Modular Xpérience is the cornerstone of this work which mixes up marvellously the ambient, the experimental, the rhythms and harmonies. "Modular Xpérience Part I" offers a cosmic, electronic and very ambiospherical intro. A sequence line makes born "Modular Xpérience Part II" of a furtive rhythm which goes and comes, takes up, comes down and slips over an electronic highway stuffed with mislaid percussions, enlightened by iridescent tones and flew over by cars ghosts. The rhythm and ambience are very Teutonic and very near the Düsseldorf School. The jewel bursts in "Modular Xpérience Part III" and its breath of Mellotron which weaves an enchanted flute lost in the abstract world. A flute to the taste of mist which resurfaces, chasing away the devils of the disobedient to make whistle a synth charmer of a spectral melody which roams as a soul of TD throughout the turbulence of sequences and electro-cosmic gurglings. While quietly Modular Xpérience slips towards the unknown, this melody charms the senses. Smothered in a static molasses of tones, we hear it in being reborn in a translucent shape to get lost in the eddies of the iconoclastic noises of a heart-breaking finale which debauches the intense ambiospheric cacophony of "Modular Xpérience Part IV". There where even the maestro lost control of his music which runs away under the tic-tocs of a clock which has stole the time. More exploratory than Transparences, “Random Control” is a brilliant album with rhythms and harmonies which die and reborn out of the abstract in order to weave a mesmerizing universe where the parallels cannot coexist without their conflicts. Our ears grate us like they ask for more. The sequences and their rhythmic progressions are simply ears teaser, while the synths fill by fragrances of Jarre and TD weave ambiences and melodies which reconcile us with the cacophony of celestial bodies and the singings of the disasters. How many decades and eras crosses Steve Roach's career? How many albums, solo or in collaborations, fills this career? I say that like that; approximately 130 albums since the first movements of sequences on Now (I still haven't hear Moebius) since 1982 to today.Throughout these ages, Steve Roach has kissed all the styles that ambiospheric EM has been able to generate, going even into the ethnic rhythms and the spheres of Berlin School. Why this introduction to “Rasa Dance-The Music of Connection”? 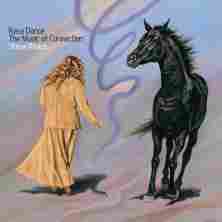 Because this last Steve Roach album, which is a kind of musical will about the relation between a horse (Tabula Rasa) and his master (Linda Kohanov), is a compilation, too short, of works and especially styles which mark out some periods as far as 1989. "Gone West", out of the album Dust to Dust in 1999, really plunges us into the plains of the American westerns with 7 ambiospherical minutes where rattlers and noises of the desert are lulled by an acoustic guitar and its worn-out chords which dust out the breaths of a solitary and melancholic harmonica. "Fate Awaits" from Truth and Beauty (also in 1999) is a long ambient passage where synths cry and rage with abandon in the dusts of the forsaken chords of a guitar which makes its notes stroll on the walls of an earth and of its tears of stones. A lesson on how ambient music can have a soul. We can really feel the first interactions man/horse with "Nightshade" (Soma with Robert Rich in 1999), of which the soft Amerindian tribal rhythm depicts this strange union where the horse let slowly tame by his new master. "Flatlands", from the superb Desert Solitaire in 1989, brings us on horseback in the sinuous land ways of the American deserts which are encircled by these immense mountains with the sides as dangerous than mythical. If you don't possess this album yet, it's a big sin. The percussions, the gurglings of the synths, the semi spectral strata and the atmospheres are wonderful musical sketches of a world that we imagine only by the eye of a camera. Dreamlike and essential! Speaking of essential, what to say about Empetus (1986) of which the superb trance of sequences in "Merge", sequences which flicker like some frenzied scissors snips in emptiness, can draw both the movements of a magic dance, a rebellion or a wild ride of a bloodstock in search of freedom? This is a great sequencing play. What seduces in this compilation is as much the selection of the tracks as their order of scrolling, weaving a surprising pattern where the rhythms and the atmospheres intertwine with a surprising correctness. So, after the wild rhythm of "Merge", "Hearts Core", from 2004's Holding the Space: Fever Dreams II, brings us back to this tribal touch with a shaman rhythm where the unchained percussions breathe of a strange organic life and the celestial voices implore some astral auras around a reddening fire. It's to us to imagine a link with the horse. Me, I see a passage towards another world, especially with the next 30 minutes when "Eye of Noche", from New Life Dreaming in 2005, and "Where Rasa Lives", out of Back to Life in 2012, submerge our senses of serene translucent and sibylline strata which mould the breaths caressing and annihilating the imprints, the vestiges of our passage, our past. With all these albums which furnish the impressive musical fauna of Steve Roach, this compilation which makes the bridge between his 80's and 2010 years is a wind of freshness which calls back the origins of the American synthesist. Available in downloadable format only, “Rasa Dance-The Music of Connection” is an excellent means to get acquainted with the work of Roach because the selected tracks are magnificently ordered so that the ambiospherical structures, which can make run away those whom the music of Roach calls from the tips of the ears, pass as knocks of brushes which dust out the clanic and sequenced trances. The link with the horses? With Rasa? I leave that to your imagination. Because Steve Roach's magic is that we can have one thousand perceptions on his music, that there is always a link which unite them. A must to those who want to discover Steve Roach's universe.